OSAKA - West Japan Railway Co. (JR West) reported what is the first recorded “serious incident,” a designation in the transport ministry’s accident-classification system introduced in 2001, on a shinkansen after a crack and oil leak were discovered underneath a running bullet train bound for Tokyo. “Serious incidents,” under the classification system, are issues that could lead to serious accidents and are required to be reported to the transport ministry. According to the operator, JR West, the crew of the bullet train noticed a burning smell on Monday when it left Kokura Station in Fukuoka Prefecture. 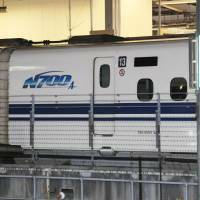 Although a maintenance crew that boarded the shinkansen at Okayama Station reported the motor was making an abnormal sound, JR West judged it would not affect the operation of the train and it was allowed to continue its run. However, as the train left Kyoto Station, the smell was detected again, forcing JR West to check underneath the train at Nagoya Station where it found an oil leak. The operator halted the service and some 1,000 passengers changed to other trains, JR West said. The company said a crack was found in the steel frame of the fourth carriage of the 16-car train, which began its run at Fukuoka’s Hakata Station. The safety board of the Ministry of Land, Infrastructure, Transport and Tourism said that if the frame of the carriage had broken, the wheel shafts would have been affected and the train could have derailed. 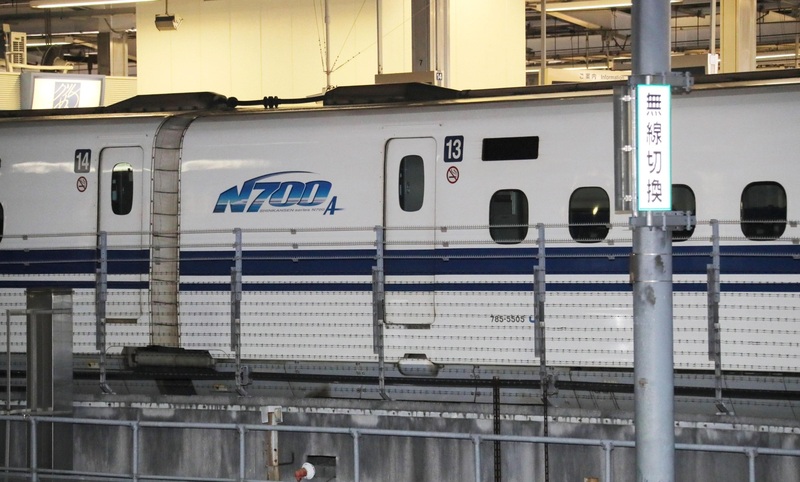 The bullet train car belonged to JR West’s N700 series. Central Japan Railway Co. (JR Tokai), the operator of shinkansen services between Tokyo and Shin-Osaka, said it plans to move the troubled train, now at Nagoya Station, to a nearby carriage base and conduct a joint inspection with JR West after the safety board completes its probe. The Japan Transport Safety Board is planning to hear from JR West among others on Wednesday. The rail company operates bullet trains between Shin-Osaka and Hakata.